Located in Scotland, on the Moray Firth at the historic Nairn Golf Club, Head Teaching Professional Murray Urquhart recently took advantage of the PGA in Scotland’s special opportunity, completing the CPI Course and is already passing on his new knowledge. 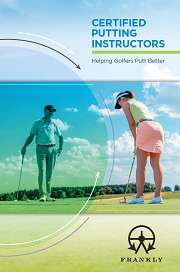 “Putting is something I have learned about by buying books and looking at information online. It has never been structured, but the CPI Course provided me with a structure. As well as being a top-class teacher, Urquhart is a very well respected player, having been a successful Scottish amateur and developing his game to become a member of the European Tour. “If I had known some of the things in the CPI Course and applied them when I was playing I would certainly have been a better putter. “I have played with a lot of good players and always notice their consistent setup and putter fitting. The fact that the CPI Course backs this up with reliable numbers helps when communicating details to the player about consistent setup. 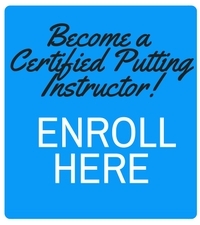 When you are teaching you can see instantly that the putter is not fitted correctly, and you also notice that the student is manipulating their stroke to fit the putter. Urquhart has been at Nairn Golf Club (which has hosted the British Amateur, Walker Cup and Curtis Cup) since 2016 and is looking forward to using the information he learned about in the CPI Course throughout the year in his indoor studio to work on the stroke and putter fitting. In addition to its outstanding championship course, Nairn Golf Club also has a 9-hole short course and wonderful outdoor range and short game practice area, which is perfect for the vibrant junior section of the golf club. Urquhart is also a coach for the North District Coaching Boys team and a Scottish Golf Academy Coach and looks forward to applying the CPI Course to his junior coaching. “It’s so important that they know what makes their putting stroke tick and ingraining good fundamentals that they will have for the rest of their life,” said Urquhart, who himself progressed rapidly as a junior from club to national level, winning the Scottish Boys Strokeplay as well as representing Scotland at both Boys and Mens levels internationally. He secured a golf scholarship the College of Charleston, South Carolina in the USA from 1992 until 1996 which was a great experience, playing against ACC teams like Wake Forest, Virginia and Georgia Tech with an extremely high level of competition, which stood him in good stead upon turning professional and following a playing route, a highlight of which was playing in The Open in 2005 at St Andrews. “It was Jack Nicklaus’ final Open and it was amazing to play and see tens of thousands of people around the first and 18th. Now he looks to pass on these experiences and all he has learned as a player to those who seek his expert tuition. “One of the benefits is that I have played, I tried my heart out. I know what works and what doesn’t. I like to learn from others and also share my ideas.